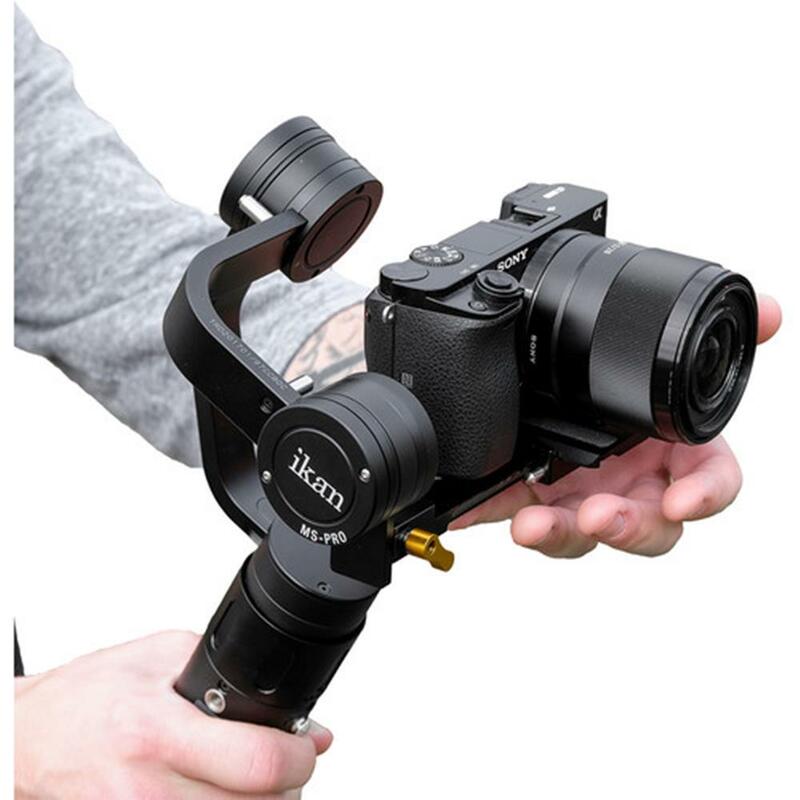 The Beholder MS-PRO is designed specifically for professional filmmakers looking for a single handheld stabilizer for a large range of small cameras weighing up to 1.9 lbs. 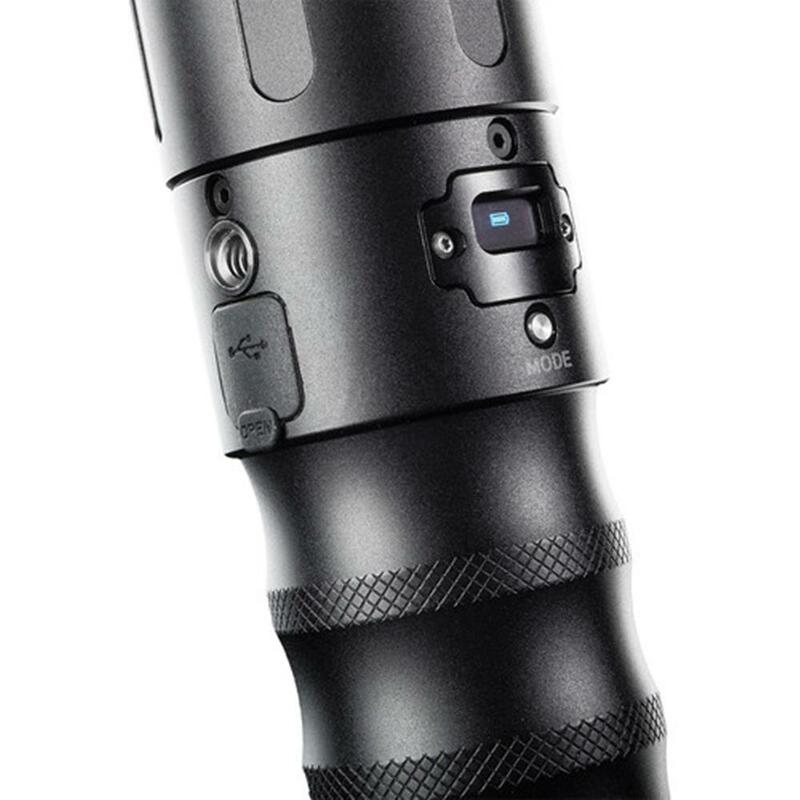 The Beholder MS-PRO is lightweight, easy to use, and can be carried in your camera bag. 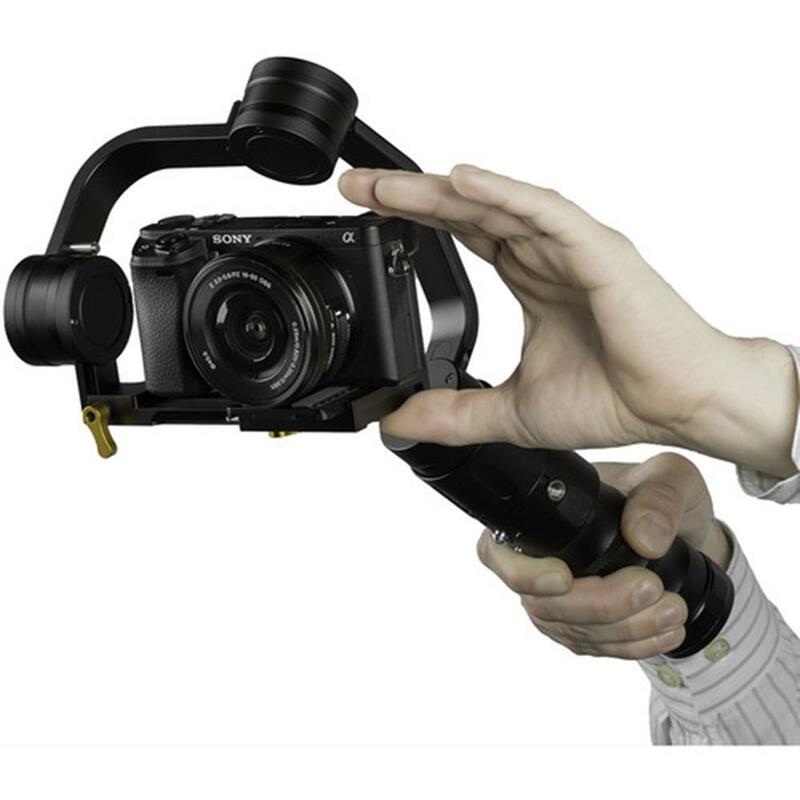 In addition, the MS-PRO is versatile enough to be used with a GoPro or Smartphone. The MS-PRO features a 360 degree rotating brushless motor on the yaw axis for less restricted movement. With a payload of up to 1.9 lbs., the MS-PRO has the ability to stabilize a wide range of today's popular mirrorless cameras such as the Sony a6300, Sony a7SII, Panasonic GH5 and even cameras as small as a GoPro or smartphone*. Using a 32-bit controller with a 12-bit encoder, the MS-PRO uses an adaptive PID algorithm to produce a reliably efficient handheld stabilizer. 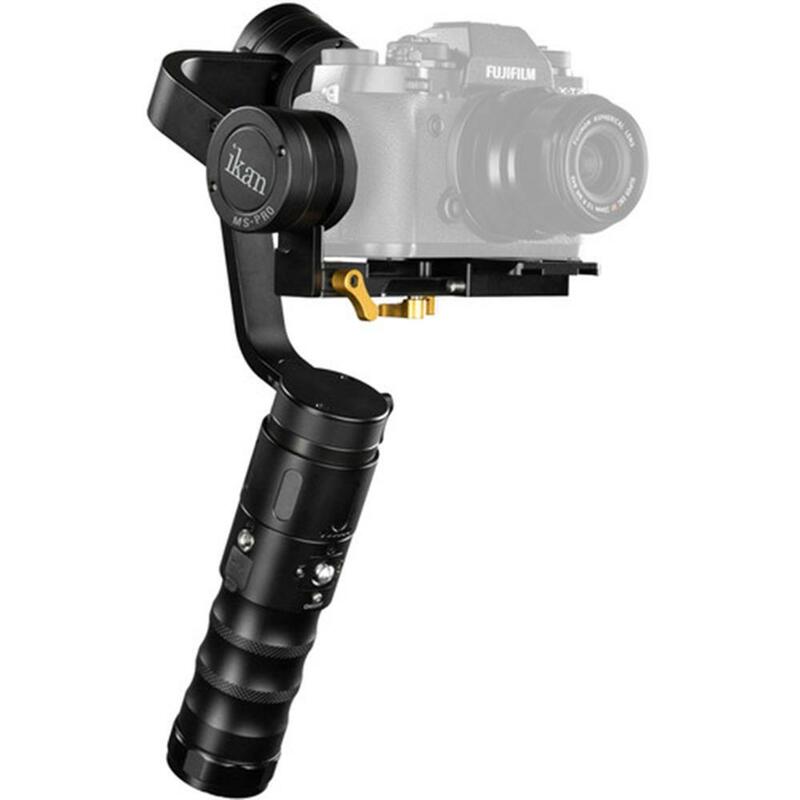 This means that the gimbal will respond faster, balance easier, and have a greater battery life. 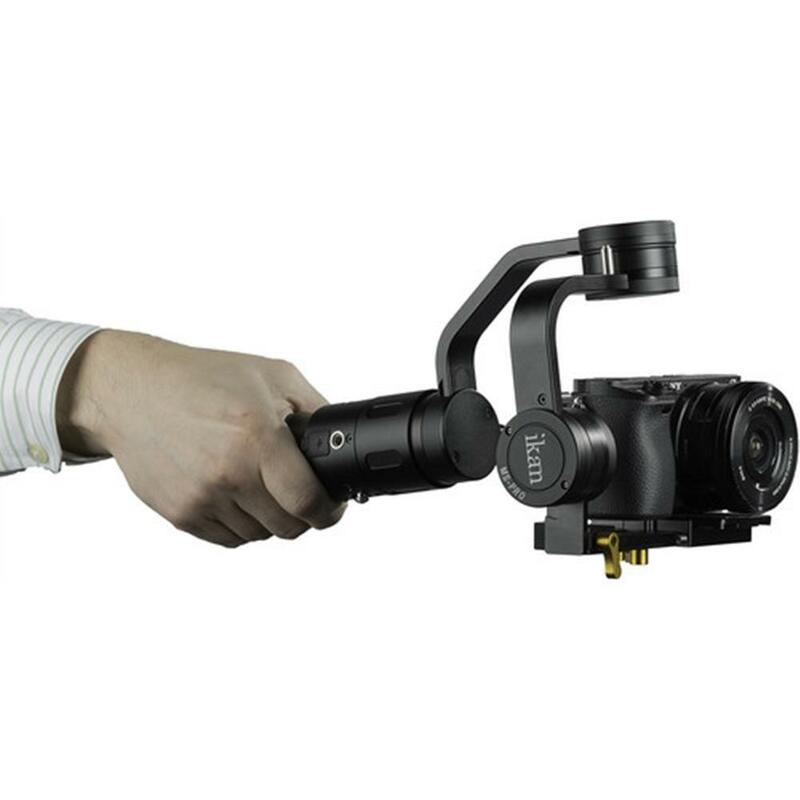 In Lock Mode, the Yaw, Pitch, and Roll axis work together to keep the camera pointed in one direction. The camera's composition will stay the same no matter how you move the handle. Quickly lock your camera into any position by manually pointing and holding it in any direction. After a few seconds, the camera will lock and hold its position until it is reset back to default. Switch to Inverted Mode at any time by simply flipping the handle over the camera. Inverted Mode can be operated in conjunction with any of the Lock and Follow Modes. The MS-PRO features 3 different follow modes. In Yaw-Axis Follow Mode, the MS-PRO will only follow your pan movements. 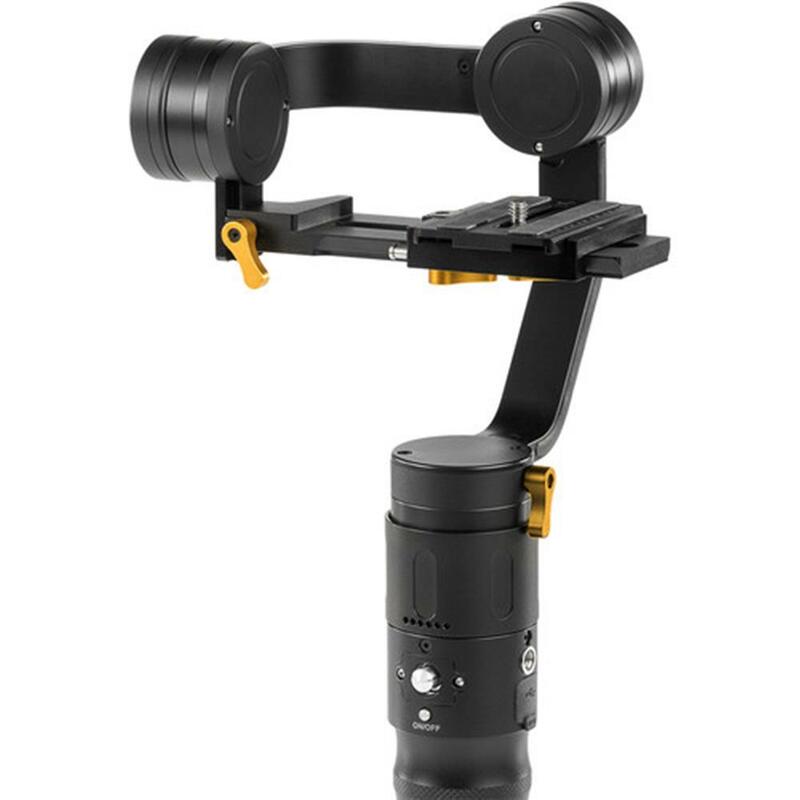 In Pitch and Yaw-Axis Follow mode, the MS-PRO will follow your pan and tilt movements. Finally, the 3-Axis Follow Mode gives you full control allowing you to pan, tilt, and roll. A display screen located on the back of the handle conveniently provides you with information on the battery life and operating mode. 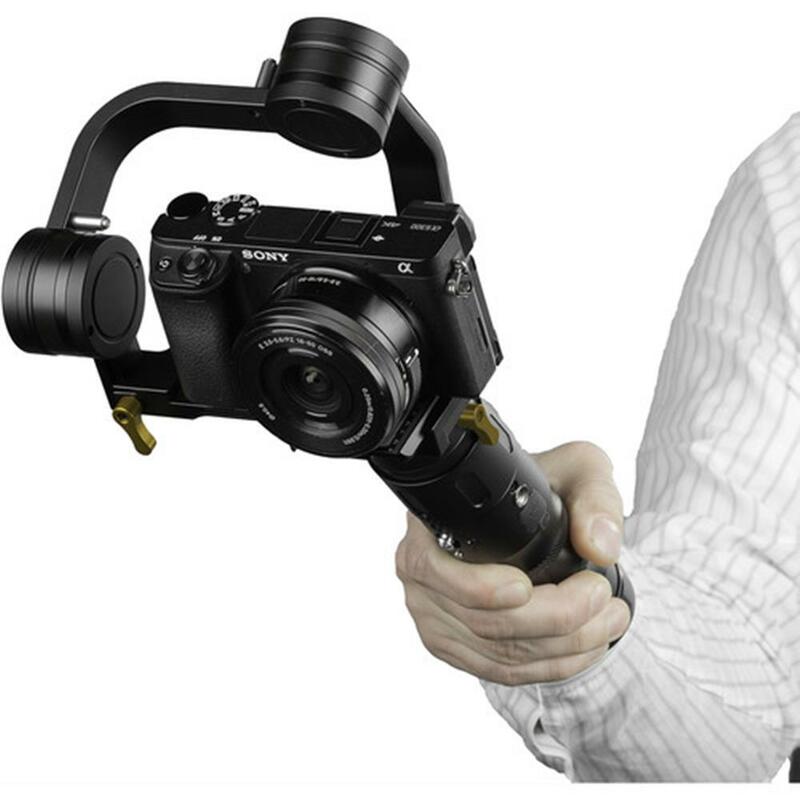 With a newly designed quick-release baseplate system, the MS-PRO is easy to balance without the need of any tools. The MS-PRO handle comes with two 1/4-20 mounts that are perfect for mounting accessories such as a light, microphone, or monitor. 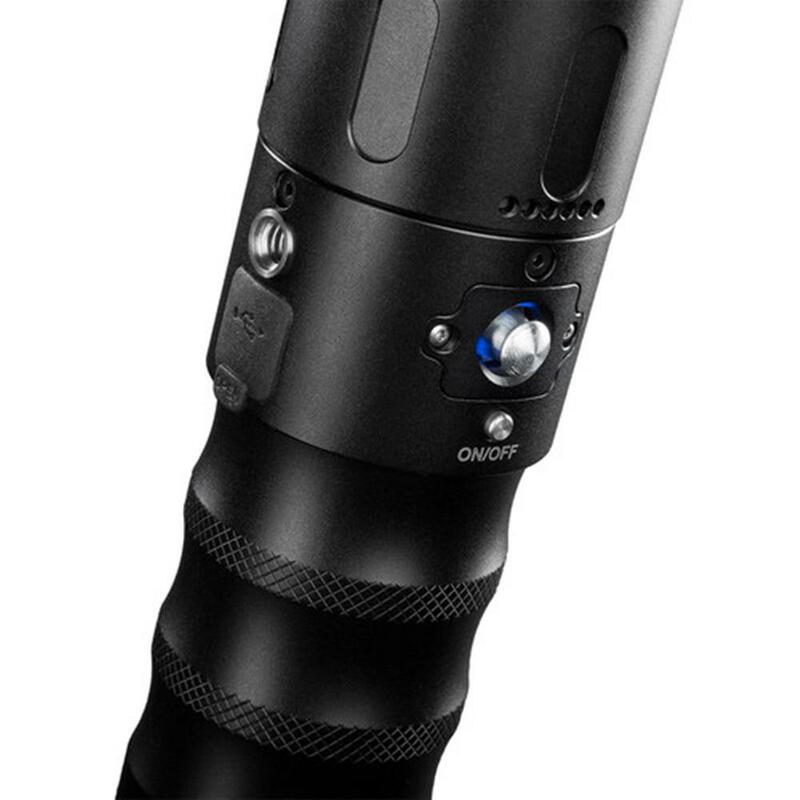 A 3/8-16 thread located on the bottom allows you to securely mount the MS-PRO to a tripod, jib, or dual handle support system such as the Ikan DGH. Shipping Dimensions: 14.3 x 6.4 x 3.1 in.